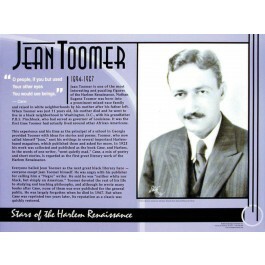 This educational poster features a large photo image and biographical text of 20th century writer Jean Toomer, one of the more puzzling figures of the Harlem Renaissance. The poster also features a quote from his book "Cane," which says: "O people, if you but used Your other eyes You would see beings." 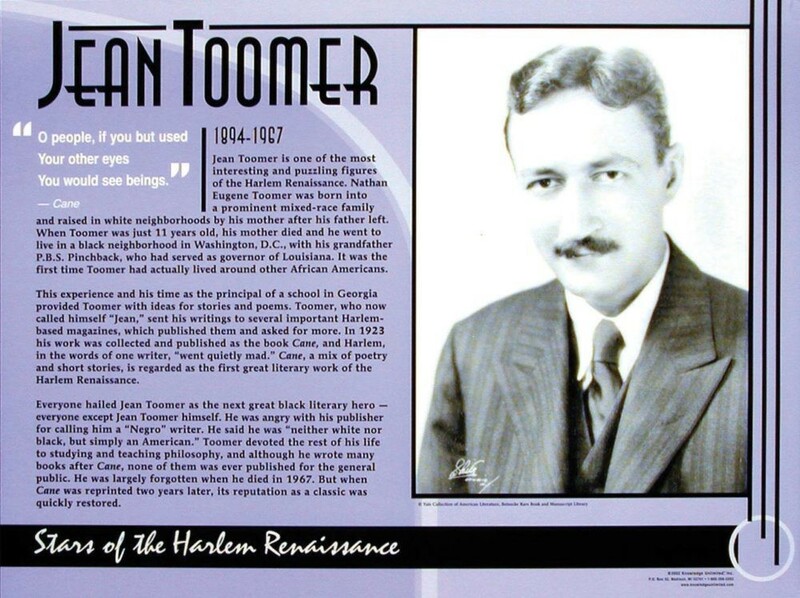 Toomer's book "Cane" was a mix of poetry and short stories and is widely regarded as the first great literary work of the Harlem Renaissance.